Yesterday was my first full day in Indiana, and it was a good day. 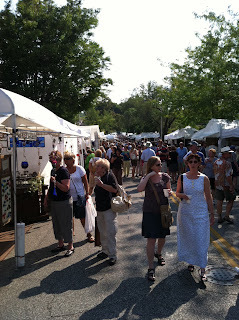 I slept in a little bit, then went to the 4th Street Festival of the Arts & Crafts in downtown Bloomington with my Mom. The place was PACKED! I remember this festival, since I used to work at Monroe County Public Library on Kirkwood... but I don't ever remember it being so crowded. 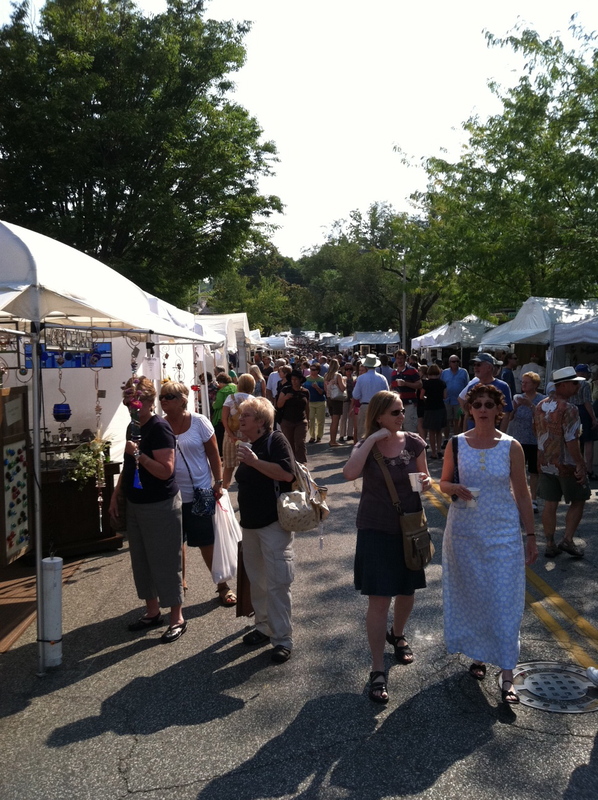 The festival has been around since 1977, and it's an awesome place to check out jewelry, pottery, leatherworks, paintings, and more. 4th Street itself is awesome, our own little locally-owned 'restaurant row', with some of the most diverse restaurants in old homes along the street. Even though Indiana isn't necessarily celebrated for its diversity, in Bloomington you can find Thai, Afghan, Mediterranean, Turkish, Korean, Cajun, Italian, Tibetan, Ethiopian, Japanese, Mexican, and American restaurants. Downtown Bloomington has changed SO much since I was growing up in Btown. The gentrification of the downtown area is just astounding. There are so many apartments where formerly dilapidated homes used to stand. There are chain restaurants I couldn't have imagined moving in downtown. There are so many places I haven't been, which makes me feel conflicted... I'm glad the downtown is so revitalized, and that the 30,000 IU students who recently descended upon town are interested in the area. But at the same time, I kind of miss the Kirkwood/downtown from when I was growing up... the quiet, quirky place that I used to love. But I still love Downtown, and maintain that it's my favorite part of Bloomington, hands down. It's a townie conflict; should we celebrate the changes or reminisce about the way Btown used to be. I think I'll choose to continue to love it, because it's the only home I've ever known, and downtown is its heartbeat. I'm meeting my friends for lunch at Uptown Cafe later, so I'll be enjoying downtown again today! Masala Wok, 413 E. 4th St. The Chocolate Moose, 401 S. Walnut St.
Scholars Inn Gourmet Cafe & Wine Bar, 717 N. College Ave.